Wow - its been a busy week. Christmas parties on the weekend, a Christmas Eve dinner party, Christmas Day lunch and Boxing Day get-together. The Christmas Tree has filled the house with that distinctive seasonal scent and the fridge is overloaded with too much food. The mantlepiece is decked out in tinsel, the verandah and garden path twinkles with sparkling lights. I've been busy making paper cut tree decorations and hand-painting Christmas cards along with cleaning the house and preparing several festive feasts. Papercut baubles made to fill the crackers for Christmas Eve. 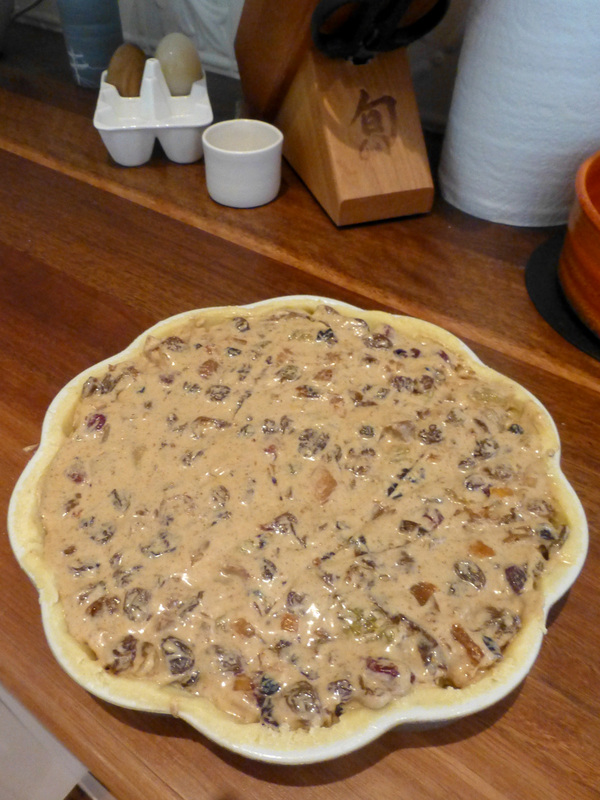 Saturdays gathering with friends was a bring a dish feast. We provided a beautiful Berkshire pig ham and I made a relish of apricot, orange, honey mustard to go with it. Some of the dishes brought by guests included cured ocean trout and a beetroot and feta salad - all yummy! 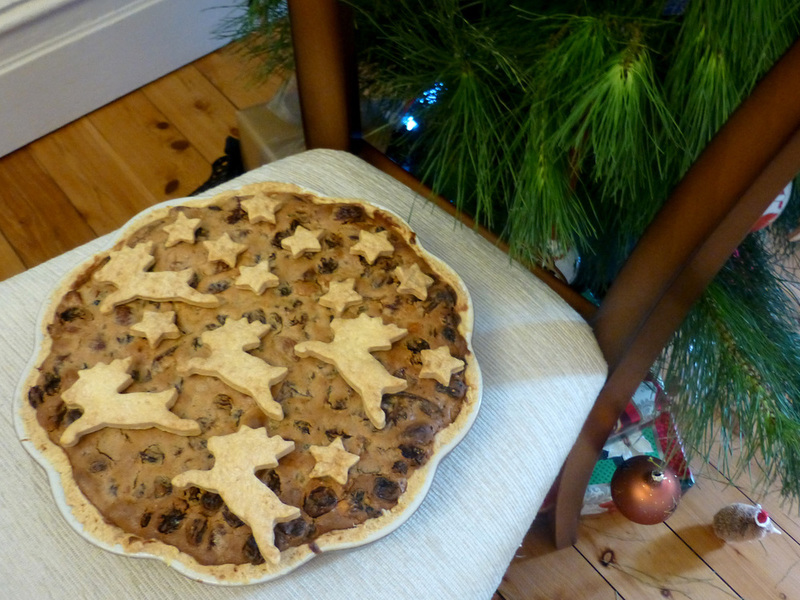 My Mince Pie Tartlet is ready to eat with a festive twist of leaping reindeer through a starry pastry sky. Festive native flowers and little gingerbreads from Vienna - the gold leaf bowls at the base are one of the presents I received from hubby Geoff. The mantlepiece is decked out in tinsel and fairy lanterns. A salad of smoked trout, coconut, lime juice, cucumber, coriander, mint, chili and yoghurt was a festive and refreshingly light meal on a hot day. 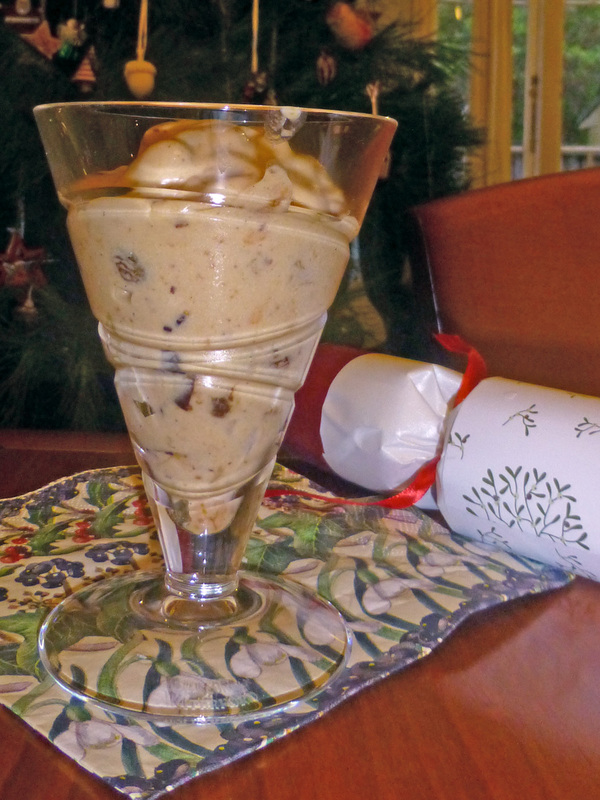 Christmas Pudding ice-cream to finish with my special blend of fruit mince with plenty of rum and vanilla. Christmas Day was cool and misty, the rainy weather and grey skies making it seem a winters day - perfect for a traditional Christmas Lunch at Mum and Dad's place. 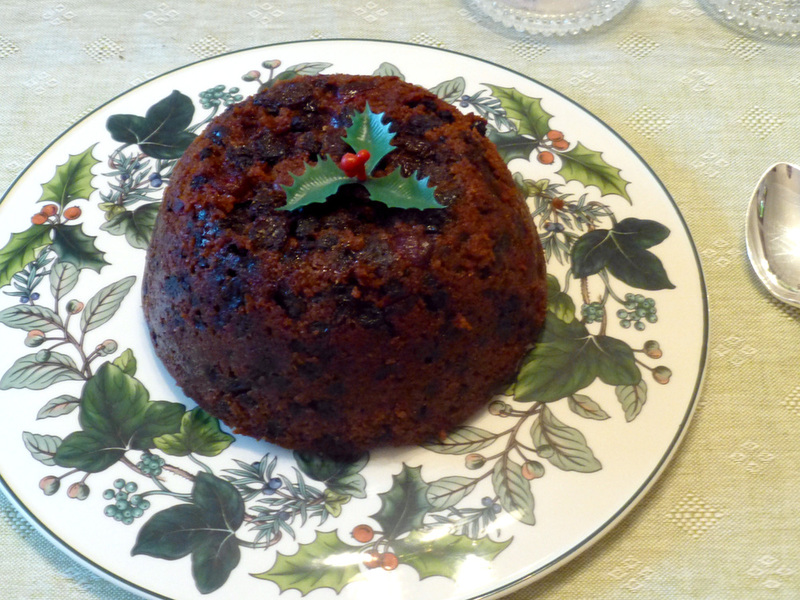 The turkey was cooked in the Weber BBQ as per usual and there's Christmas Pudding to finish. An appetiser of cheesy french gougeres and smoked salmon and brie tartlets for a light evening meal rounded out the day. 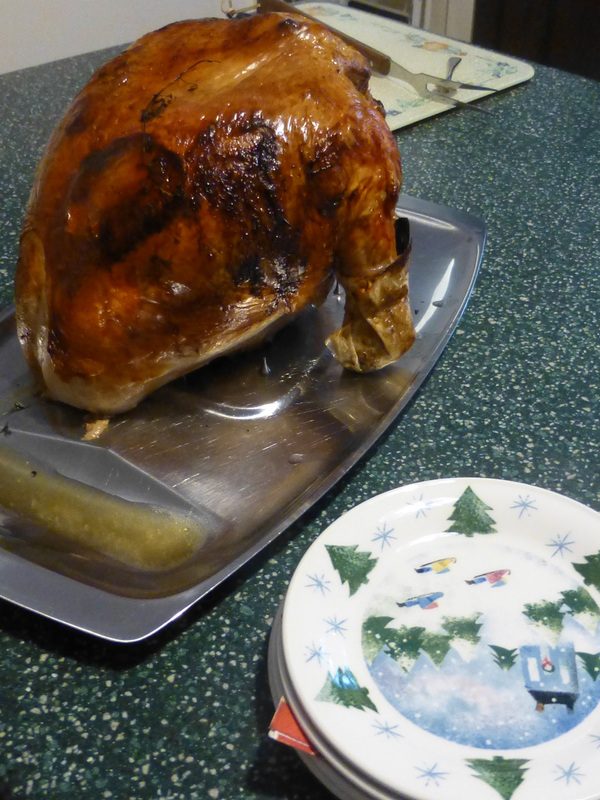 The turkey looking golden and basted once brought up to the kitchen ready to serve. Boxing Day lunch was a chance for Geoff's family to come over, see the tree and share some salads. 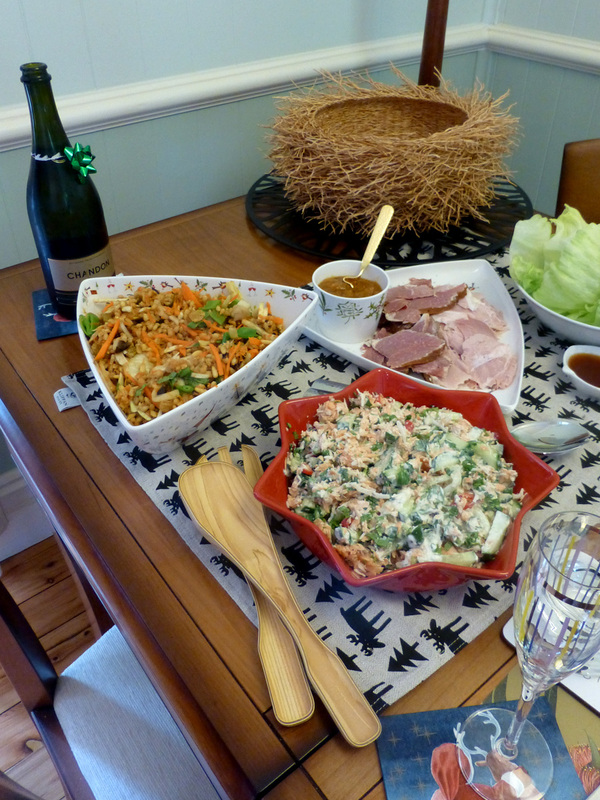 They brought san choy bow and roast duck to go with another round of smoked trout salad, barley and carrot salad and leftover ham. 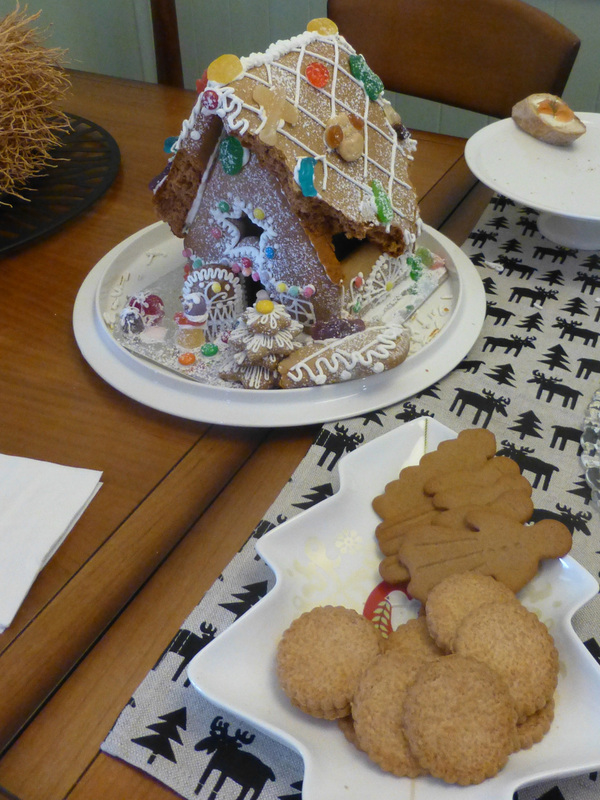 So that's a snippet of our first Christmas in our new home, the first of many to come.